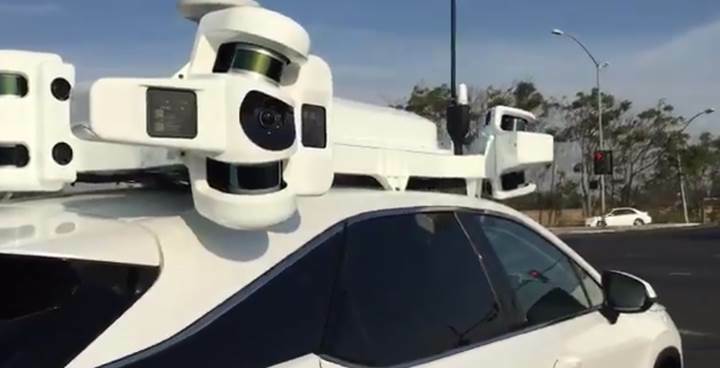 Apple, one of the world’s most popular smartphone makers, has been making a name for itself in recent years with serious work on autonomous driving systems. Acting with great secrecy to give secrets and secrets, the company is preparing to revolutionize silent automotive technology. The self-guided tools are among the greatest fantasies in the science fiction world. Now we can pull out the fiction part of this business because the companies with the greatest technology capital of our day have been sweating the same thing for many years. According to the details reflected in the Motor Trend magazine, Apple increased the number of vehicles tested in California. What does it mean that your big hand is reigning on the highways? Even more important, why is the intention to progress so slowly? Since January, we know that Apple has a fleet of 55 autonomous driving systems on California’s streets and that these vehicles have 83 drivers in the test phase. The task of these drivers is to be a security measure in self-guided vehicles. Possible accidents can affect the company’s R & D work. When we consider the numbers of companies that test autonomous vehicle systems in California, we also see that the lives of people in the streets depend on these drivers. There is no obligation to make an official statement about what Apple has done until January 2019, which received official permits for testing these vehicles in April 2017. Other autonomous driving test companies already have work areas related to the automotive sector. For example, it is natural for Uber or Tesla to invest in such systems. Apple is on the slip. If a company is working on autonomous vehicles, we expect big factories, giant production bands, robot workers to see them and produce vehicles with their own brand in these factories. This expectation is natural, but not for Apple. The company can find resources to produce cars, but it does damage its reputation, expand its product range and mix head-ons. Apple’s goal is to keep its brand in autonomous driving systems. Autonomous systems are also among the most advanced areas that allow active testing of today’s artificial intelligence technologies. So Apple may have just turned to this business for testing of artificial intelligence software. We know that other automakers, especially giants like Ford, BMW and Volkswagen, are not as good as technology companies in terms of autonomous driving. What do traditional automotive giants who want to stick at that time do when they want to release autonomous vehicles? The answer is obvious: they will print out the money and get these systems from companies like Apple. Apple, the most valuable company in terms of the technology world and financing of the real world, has also entered the big game. Let’s see if we can get a clear explanation from this company. What happens if you “wake up” during the surgery? Legend Game Street Fighter 5, 2 Week Along Free.